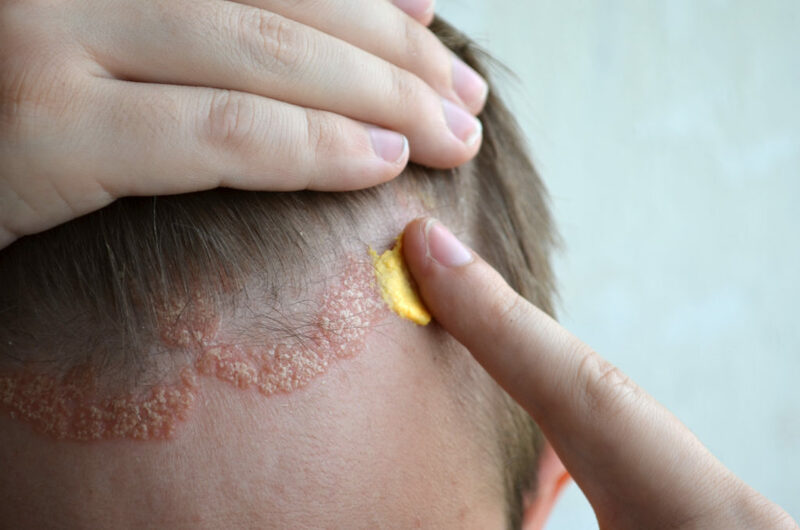 Psoriasis is a common skin condition that causes cells to build up rapidly on the surface of the skin. The extra skin cells form scales and red patches that are itchy and sometimes painful. There is no cure for Psoriasis, however, you can manage symptoms by moisturising, not smoking and managing stress.